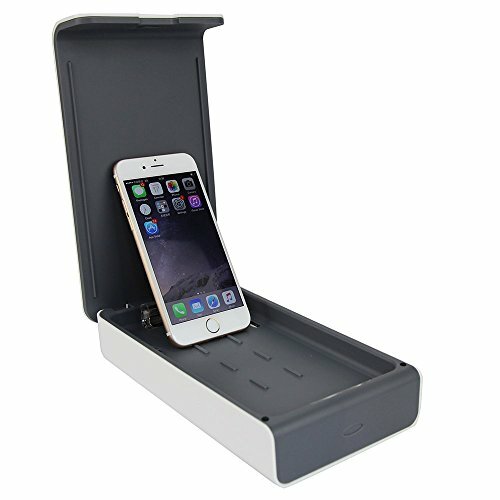 Phone Charger and Sanitizer - Moar Stuff - You don't need it but you know you want it. Also apply to clothes such as underwear, socks, baby's toys, forks,knives, watches, eye-glasses, toothbrush, jewelry,keys,bluetooth earphones and any other small objects. Are you one of those people who washes your hands 8 times a day to avoid catching a cold but hold a germ-laden hunk of metal, glass, and plastic against your face 32 times a day? Seriously, when’s the last time you cleaned your cell phone? Be honest. Probably not since it was brand new, right? You know you get germs all over it then put this thing on your face right? 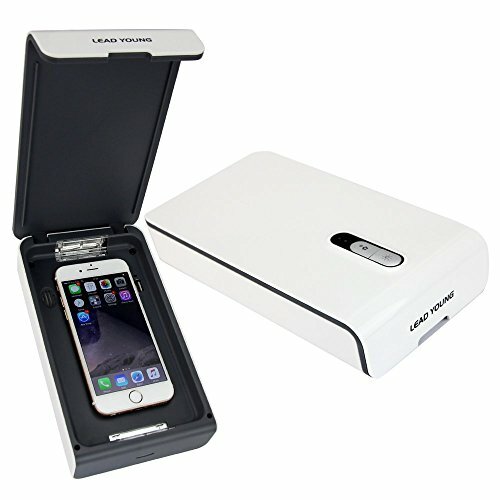 Well, this Phone Charger and Sanitizer uses UV light (Buy) to kill all of those nasty germs in as little as 6 minutes. Better yet, it kills them while you charge your phone. That means that you don’t have to take any extra steps out of your day to do it. Just hook up the charger cable, close the lid, press the button, and magic will happen. The sanitizer light will run for 10 minutes then turn off so as to not waste power. It’s not limited to your cell phone. It can sanitize just about any object that will fit into the unit (Interior measures 176 x 102 x 14mm). 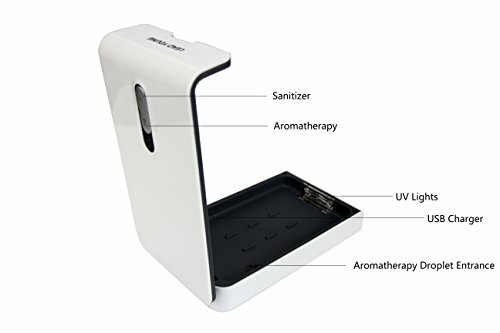 So, you can sanitize things like your wallet, keys, jewelry, even socks and baby toys. It’s only limited by the size of the object. On top of all that, it can also use aromatherapy oil to make your phone smell better. Personally, I think that feature is a little over the top but, if you like that sort of thing, I guess it’s nice to have. Dimensions: 9.4 x, 5.8 x 2.8 inches (209 x 110 x 44 mm). Colors: White, Pink, and Blue. 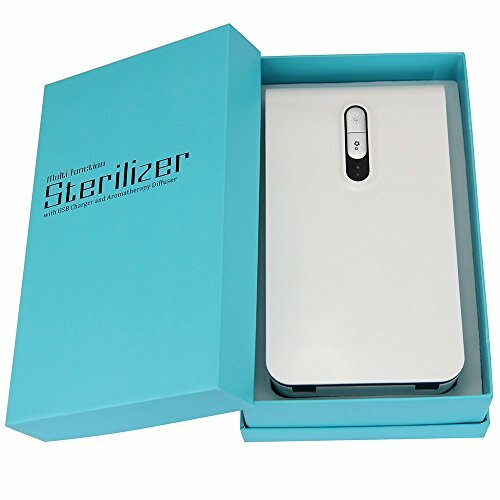 Package includes: Sterilizer, manual, USB cable, Android cable, iPhone cable, cleaning cloth.